My interest in Traditional Chinese Medicine goes back to 1988 when I was a member of the President Eisenhower’s People to People Delegation to the Peoples Republic of China. Throughout my career as a general and vascular surgeon in Staunton I was often thought of as a maverick due to my interest in Eastern Medical Practice. But it wasn’t until cancer ended my surgical career and I became Chief Medical Officer that I had the time to introduce and stimulate interest in our need for a Complementary Medicine Service at Augusta Health. I felt such a service should include Acupuncture, classes in many aspects of Qigong, Tai Chi and Yoga and a Martial Arts Program which had pressure points as the foundation of its form. 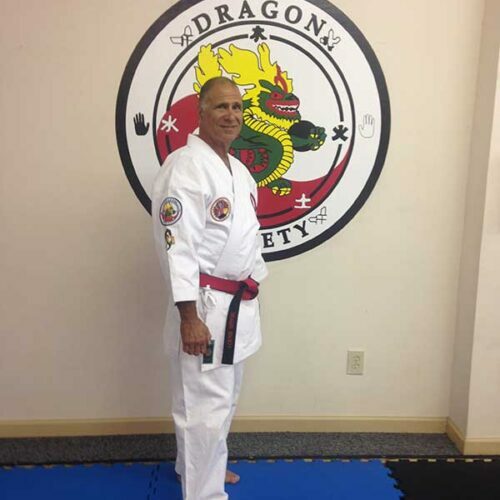 One of the applicants I interviewed was Tom Muncy, who ran a martial arts program in Waynesboro and who, along with Rick Moneymaker, had founded The Dragon Society International and the To-Ri Karate Institute. At conclusion of the interview I only had one question to ask Tom … “Would you be willing to take on a 65 year old student into your martial arts program?” He said absolutely and I hired him on the spot. At that time we were finishing construction of a new addition to our Fitness Center and I made certain that we incorporated into it, a state of the art Dojo for Tom to work out of. 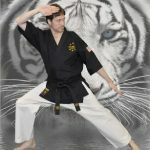 I have been practicing Karate for the past 15 years and have enjoyed the unparalleled experience of having Grand Master Muncy as my instructor. It is like a dream come true, being able to attend a 2 hour Grand Master Muncy Seminar twice a week. 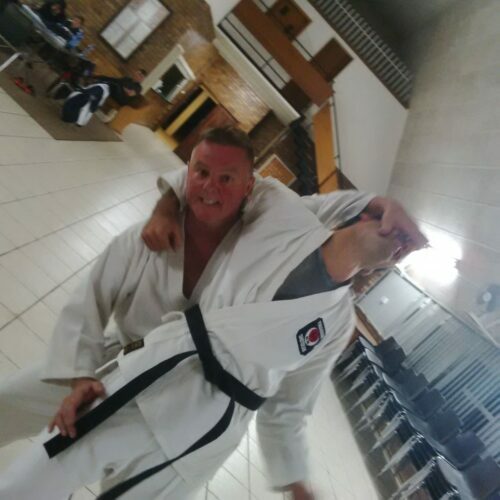 Living by his motto “Always a student” Sensei Morales continues to learn and research the Martial Ways; and he is currently studying Renzo Gracie jiu-jitsu and Silat. As a child, Grandmaster Luis Morales was fascinated with the Martial Arts, spending many hours reading the various Martial Arts publications such as Black Belt Magazine and Karate Illustrated. His first real exposure to the Martial Arts came when he was only 8 years old. 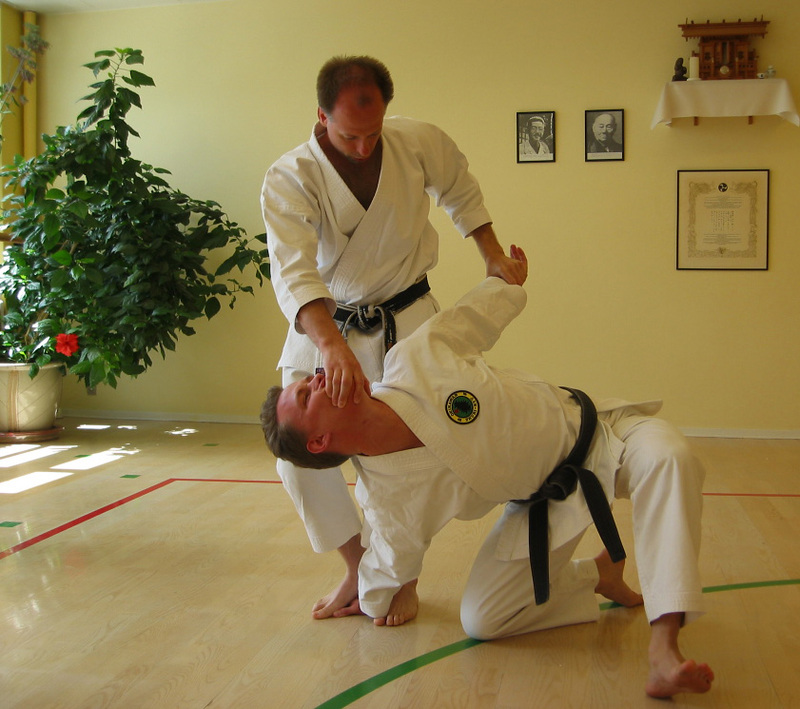 A family friend introduced him to a Ju-jutsu style called Miyama-Ryu. At the age of 12 years old he began his formal training in Martial Arts. 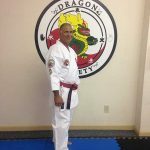 Grandmaster Morales has dedicated his life to the study of Old Ways of Karate and Okinawan Goju-Ryu Karate in particular, and due to his relentless pursuit has a profound knowledge of its Kata and its Bunkai (Applications). He is highly regarded for his Functional Karate and advanced abilities in the ways of Martial Science, Tuidi-jutsu (Grab Hand Art) and Kyusho-jutsu (Vital points Point Art) that are Sub Arts of Karate. 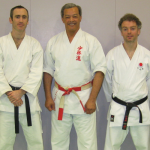 He has been fortunate to have trained with the world’s leading Goju-Ryu’s masters. To name a few, Hanshi Gogen Yamaguchi of Japan Goju-kai, he was a senior student of Master Teruo Chinen of Jundokan International, Hanshi Eiichi Miyazato, founder of the Jundokan Dojo. 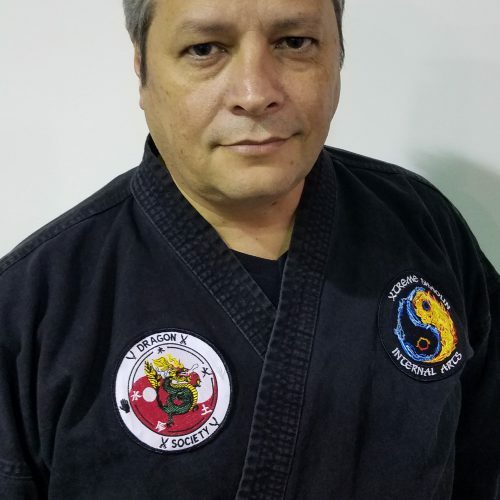 Grandmaster Morales has been under the tutelage of Grandmaster Tetsuhiro Hokama 10th Dan of Kenshi-kai Okinawan Goju-Ryu and Kobu-jutsu since 1999. Grandmaster Morales has done seminars along side with many Martial Arts great such as Soke Lil John Davis of Kumite-ryu jujutsu, Professor James Muro of Hawaiian Kenpo and Danzan-ryu jujutsu, Grandmaster Bill McCloud of Urban contemporary jujutsu, and Senior Master Rudy Tuiolosega of Limalama. His hands on approach make his seminar very popular and sought after. 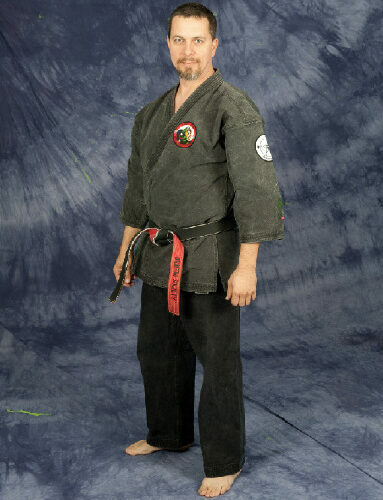 North America Chief Instructor for Kenshi-kai Goju-Ryu. 9th Dan in Okinawa Goju-Ryu Karate and Kobu-jutsu. The highest Ranking Torite Jutsu Instructor in the Northeastern United States. Certified GrandMaster rank in Torite-jutsu 7th Dan, 7th Dan in Okinawa Kenpo under Grandmaster Tom Muncy 10th Dan and Grandmaster Rick Moneymaker 9th Dan founders of the Dragon Society International. Awarded 10th by The Hawaii Martial Arts International Society signed by many Kenpo Greats and recognized Grandmaster of The Bugaku Renmei. Founder of The Bugaku Renmei (Martial Science Federation). Author of The Sub-Arts Guidebook. It has been my distinct pleasure meeting you and having the opportunity of attending your seminars. 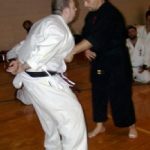 As we have spoken about recently, Tuidi is exactly what the Karate-Ka needs to know. It obviously forms the basis of the reality of our KATA. P.S. Your web site is super!!!! Steven began his martial arts training at an early age, around 8 yrs old. Some 35 yrs later, he is one of the leading martial artists in his fields. Steven instructs in the art of Five Thunder Fist which has it’s foundation in the Shaolin arts also combining Chinese Military Combat skills and various other Chinese arts. He also specialises in Traditional Chinese weapons and Qi Gong (internal energy cultivation) and Iron Palm/Iron Shirt techniques as taught in the Shaolin temple for the last 1500 years. 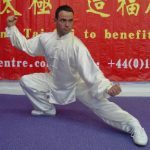 Steven is a Disciple Student of Lau Family Hung Kuen under Master Mark Houghton who is the keeper of the Lau Family lineage direct from Grandmaster Lau Kar Leung. In Chinese Kickboxing (San Da) Sifu Burton holds the rank of 5th degree Black belt and in August 2005 was awarded 4th Duan Wei Grade by the Chinese Wu Shu Association, Beijing, China. In Chen style Tai Chi, Sifu Burton is an indoor student of Grandmaster Chen Zheng Lei (19th Generation of the Chen family). Sifu Burton has also been taught by Master Liming Yue and Grandmaster Kong Jie Gou. In 2004 he won the Gold medal for his tai chi skills in the Chen Village elite invitational championships as well has Silver medal for his weapons skills. 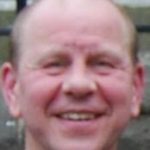 Sifu Burton has over 120 Tai Chi students throughout the North West of England whom benefit from the training, ages range from 6yrs to 106 yrs old. This can show that anyone can take part in Tai Chi and enjoy the benefits. 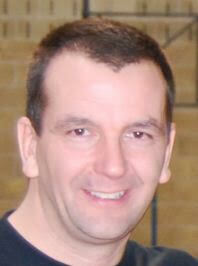 In Torite Jutsu, Sifu Steven Burton is currently the United Kingdom representative for the DSI. He holds a 2nd Dan Black Belt Torite and is one of only 18 people in the world qualified to teach the system and its related arts. Sifu Steven has trained extensively on the subject of Qi Gong both in China and the UK having been trained by esteemed master such as Master Liming Yue,the Late Master Sheng of Xiangtan, Hunan province and is now a closed door student of Grandmaster Li Zhiyi of Zhangjiajie studying Taoist Qi gong and Shen gong, having learnt all asepcts covering martial, medical and spiritual applications from these great masters. Sifu Steven has trained with the great Shaolin Monk Shi DeJun (31st genereation desciple) and was privaleged to demonstrate his skills for students of Shaolin. Sifu Steven was also very privaleged to meet the Great Shaolin monk of the 30th generation and spiritual guide of the Temple, Grandmaster Shi Suxi prior to him passing away peacefully in March 2006. 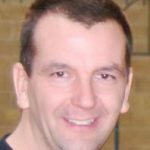 Sifu Burton is much sought after for his teaching skills and from time to time lectures at the University of Central Lancashire, on BSc Hon. Degree Course for Complimentary Medicine, teaching aspect of oriental healing methods. 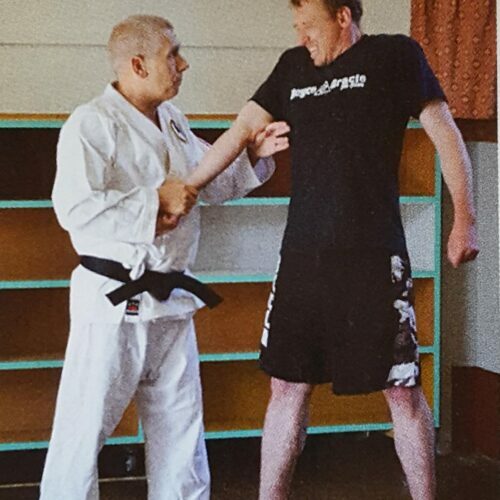 Also Sifu Burton has been asked by Lancashire Constabulary to contribute toward training the police officers and Riot police in their unarmed Control and Restraint, and close quarters skills. Sifu Steven Burton has featured on Central Chinese Television demonstrating his kung fu and tai chi skills and has co-authored a book with Master Liming Yue and Grandmaster Chen Zheng Lei on the 18 step tai chi short form and its related benefits. 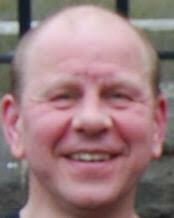 Sifu Steven Burton is the 1st non Chinese Inheritor of the Taoist Shen Wu Lin Chuan system under Grandmaster Li Zhi Yi. 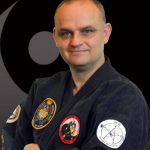 Sifu Burton is available to conduct seminars worldwide on any of the subjects he teaches. Major Hayes was born on May 15th, 1945, in New York City and enlisted in the United States Marine Corps in August of 1964. 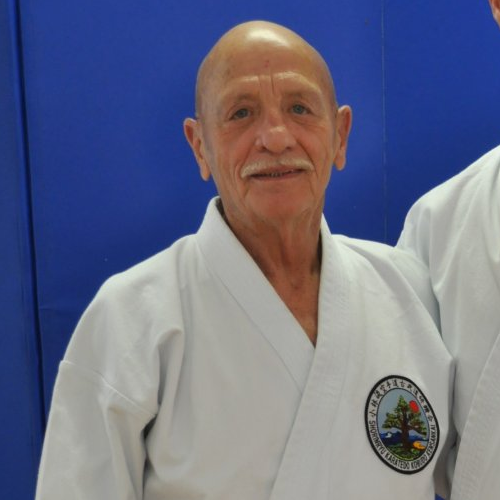 While on active duty he served at a number of major posts including two tours of duty in Iwakuni, Japan, and three tours on the island of Okinawa, where he capitalized on the availability of martial arts instruction in an effort to continue his karate training, which began in 1960. He also served two voluntary tours of duty in Vietnam (66-67 & 69-70). During his second tour as a Staff Sergeant he was part of a martial arts demonstration and instructional team that helped teach over 450 Vietnamese Nationals. His efforts resulted in a number of awards and commendations. In 1973, after nine years of enlisted service, Hayes was recommended and selected for both the ranks of Gunnery Sergeant and Warrant Officer. He chose to become a Marine Officer and graduated as his platoon’s Honor Man from the Warrant Officer Candidate Course at Quantico, Virginia, in February of 1974 and, after further schooling, served in a number of key billets as a Warrant Officer, Chief Warrant Officer, Company Grade Officer, and Field Grade Officer. He retired in the grade of Major in October of 1990, the highest grade attainable in his military occupational specialty at the time. The Major is the Past President of the U. S. branches of the Okinawan Shorin-ryu Karate-do International Association and is also the past Historian of that Okinawa-based organization. 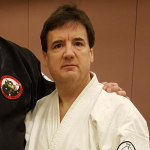 He has served as the editor for the Okinawan Shorin-ryu Karate-do International Association’s journal and now writes and publishes a quarterly international martial arts newsletter. Additionally, he is the author of, My Journey With The Grandmaster, a book centering on his experiences on Okinawa which has been read in nine countries and which was awarded The Writer’s Digest Certificate of Merit. 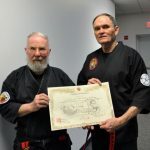 Major Hayes’ teaching credentials as well as his black belt certificates and his red and white belt were personally awarded to him by his instructor, Grandmaster Eizo Shimabukuro, 10th Dan, of Okinawa, world-wide head of the Shobayashi-ryu Karate system. 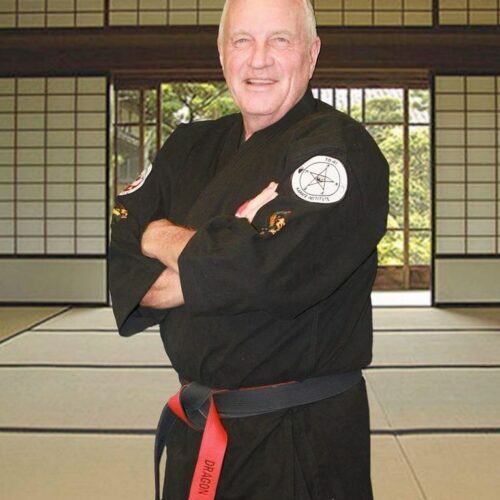 Bill Hayes is one of the most senior and wellknown of the Grandmaster’s students and has dedicated much of his life to the study, preservation, and propagation of Okinawan martial culture. Major Hayes has appeared several times on the cover of OFFICIAL KARATE magazine and is listed in the Encyclopedia of Martial Arts (Martial Arts: Traditions, History, People). He has also appeared in England FIGHTING ARTS INTERNATIONAL, Norway SVARTE BELTE (BLACK BELT), Ireland’s IRISH FIGHTING, and Japan’s BUDO MAGAZINE. 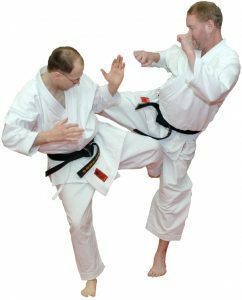 He has demonstrated Okinawan Karate and weaponry on a number of television programs and in a number of Countries and is featured in the 1994 video GREAT KARATE INSPIRATIONS. 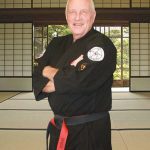 Bill Hayes has been inducted into both the Karate Masters’ Hall of Fame and the American-Okinawan Karate Association Hall of Fame. 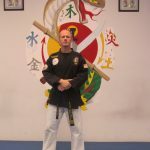 He is a charter member of the Marine Martial Arts Federation and was awarded the “Living Legend” award by the Nippon Kenpo Karate-do Jitsu-Ha organization. 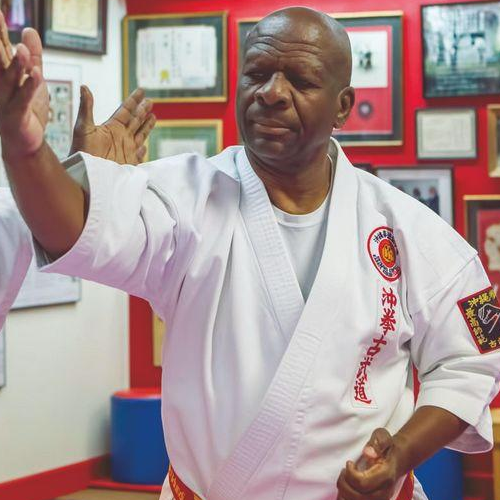 The Major is the recipient of both the NAACP Roy Wilkins Meritorious Service Award and the Marine Corps League Distinguished Service Award, which were bestowed upon him as a result of his martial arts expertise. 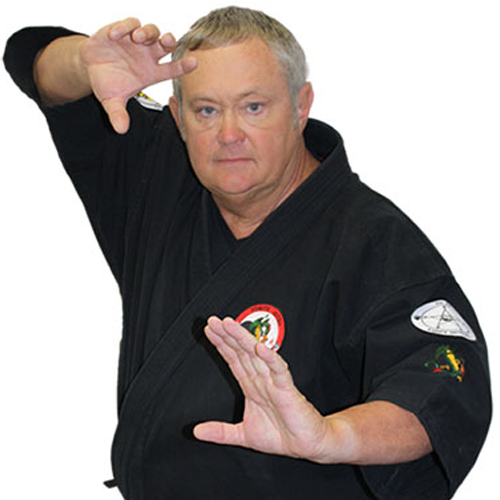 Major Hayes is currently the Director of both the Okinawan Shorin-ryu Karate-do Research Society and the Shobayashi-Kan training group. 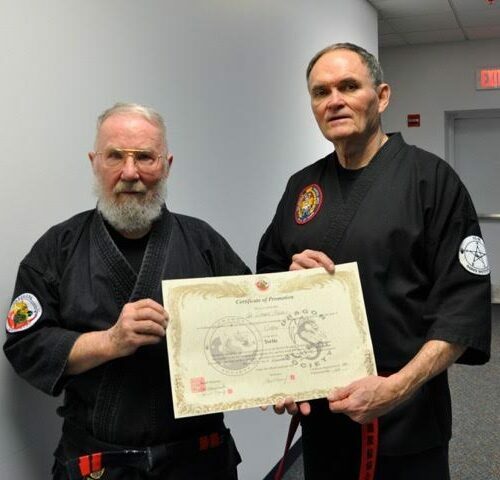 He is one of a small group of individuals officially designated “Black Belt Emeritus” and “Subject Matter Expert” in and for the Marine Corps Martial Arts Program for having been instrumental in the creation and development of the highly effective Marine Corps Martial Arts Program. He is a member of the Omega Chi Delta Academic Honor Society, an honor attained while a student at Upper Iowa University. 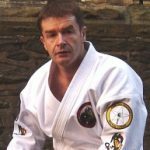 He is also an Executive Distributor with the Pharmanex nutrition product company and strives to share the longstanding connection between good health and good martial skills. He lives, trains, and teaches in Fredericksburg, Virginia. 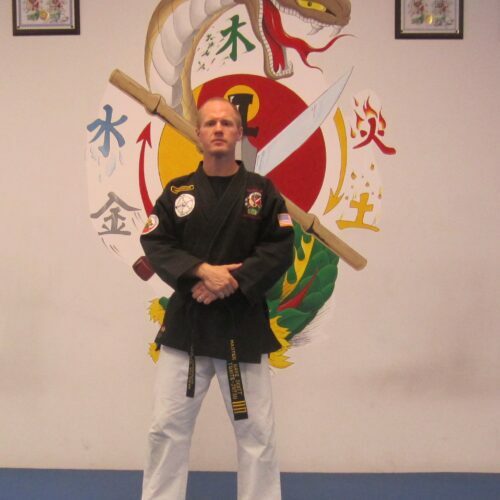 Mr. Heilman holds his Hanshi (Masters) License, 10th Dan in Karate, 10th Dan in Kobudo and 3rd Dan in Ju-Jitsu. He was awarded his Hanshi (Grand Master Teacher) License in Karate & Kobudo from Okinawan Grand Master Seikichi Odo in 1997. He also has his Renshi (Teachers) License in Ju-Jitsu. He is Founder and President of the International Karate Kobudo Federation, President and Director of the Okinawa Kenpo Karate Kobudo Union, Founding Member and Vice President of the Unorl Union of Martial Arts Federations, and a past Board Member of Master Odo’s Okinawa Kenpo Karate Kobudo Federation, and serves as a Board Member of four other traditional martial arts organizations. In 1995, he was inducted into the United States Karate Alliance HALL OF FAME, and in 1996 he was named Pennsylvania Instructor of the Year. 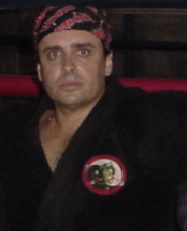 In 1999 he was inducted into the Pennsylvania Karate Hall Of Fame. He has also had an excellent competitive record becoming a multiple World and National Champion in kata and weapons. Hanshi Heilman is recognized as one of the leading traditional stylists in the world today. Doug Perry is a retired US Marine Corps Major with 60 years of karate experience. He is a decorated veteran including awards such as the Purple Heart and the Meritorious Service medal. 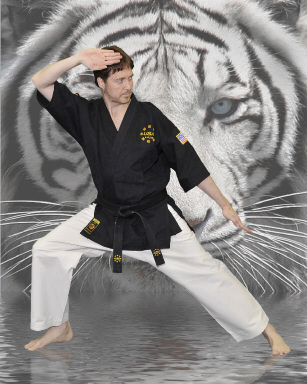 His karate accomplishments include several state, regional, and national titles. He opened a dojo in Hendersonville in 1983 and after 30+ years he passed on the management of the school to his student Patrick Lang. They say there’s no such thing as an ex-Marine, so it’s not surprising that while the service record of a certain gunnery sergeant named Leon Wright says he retired from the U.S. Marine Corps in 2003, “private citizen” Wright has yet to complete the transition and ease himself into a relaxing life of golf and gardening. 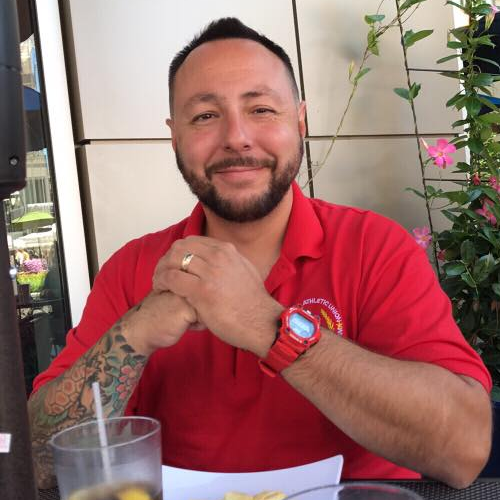 On the contrary, for the past nine years, he’s worked as a civilian-defense-industry contractor, clocking as much time with the Marines in the combat zones of the Middle East as he did on active duty. In the spirit of the Corps’ semper fidelis motto, Wright has dedicated his post-military life to serving his country and its men and women in uniform. So while his retirement job as a civilian “area site manager” has him overseeing the daily operations of numerous coalition forward operating bases in the no man’s land of Afghanistan, Wright is engaged in a more hands-on activity to support his fellow Marines. It’s an activity that combines his enduring sense of duty to the Corps with his lifelong passion for the martial arts: He volunteers his free time to teach a growing cadre of students his personal martial art, souseiki ryu sekkinsen shigaisen. Truth be told, Wright is not merely a guy who’s generous with his time and happens to love the ways of mano a mano. To understand why so many students accept his pro bono offer, a quick scan of his résumé is required. With 41 years of experience in a range of Asian fighting styles, Wright is a 10th-degree black belt and the founder of souseiki ryu, an art that’s formally recognized in Okinawa and Japan, as well as the United States. 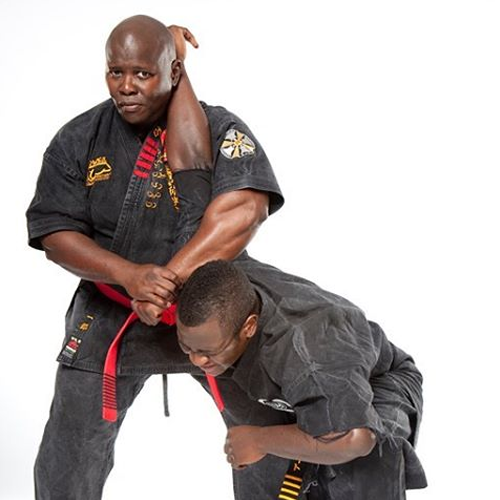 Wright is also a fifth-degree black belt in the Marine Corps Martial Arts Program, which puts his rank one step higher than the maximum fourth degree normally available to his gunnery sergeant paygrade. 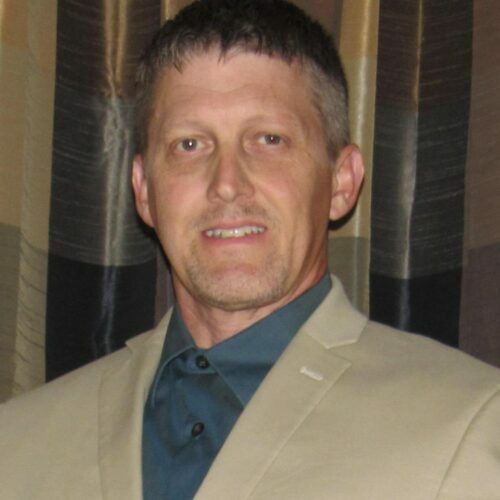 Wright is also a certified MCMAP subject-matter expert, which authorizes him to teach the program as a civilian. 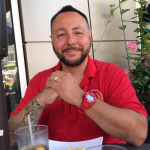 He’s the former head instructor of the MCMAP Far East School, which he helped launch in 2001 while stationed in Okinawa. 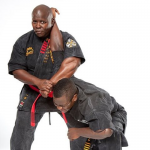 More recently, he was inducted into the Black Belt Hall of Fame as 2010 Self-Defense Instructor of the Year. and ring fingers into the jugular notch (3). As Wright sees it, living on a base under the same conditions as his students goes a long way toward earning their respect and trust, even though he can’t accompany them on their daily forays into harm’s way. 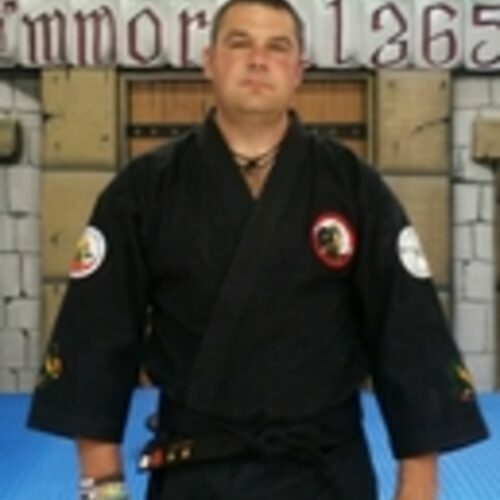 Wright’s instinct to protect his “family” was the motivation behind his desire to establish his dojo in Afghanistan, where he could play a leading role in helping his students survive the many dangers they face. Despite his civilian status, the military made an exception to their policy and granted Wright permission to set up shop and instruct active-duty soldiers in his art. Wright reinforces the need to execute all techniques with speed and economy of motion. “Flashy movements detract from the reality of the street,” he says. By design, the level of realism in souseiki ryu is the feature that separates it from the safety-first approach used in most other styles. Wright achieves this through what he calls a “paradigm shift” in training procedures. His students don’t use gloves, mouthpieces, headgear or any kind of protective equipment. The logic is undeniable: If you don’t wear it in the field, you don’t wear it in training. Also absent are the step-by-step self-defense drills Wright refers to as robotic movements performed on compliant partners, sequences that result in techniques that seldom work in a confrontation. Instead, all techniques are practiced with aggressive noncompliance. It’s the only way, he insists, to really know whether something will work under pressure. DEFENSE AGAINST A ROUNDHOUSE PUNCH — Leon Wright (left) assumes the ready posture in front of his opponent (1). When the man punches, Wright executes a high elbow block (2), then steps into the opponent’s personal space to deliver an elbow strike to the jaw (3). Note how he positions his left leg for his next move: an off-balancing technique. Wright then applies pressure with his left knee (4) and overhooks the man’s left arm just above the triceps (5) before sweeping the leg (6-7). 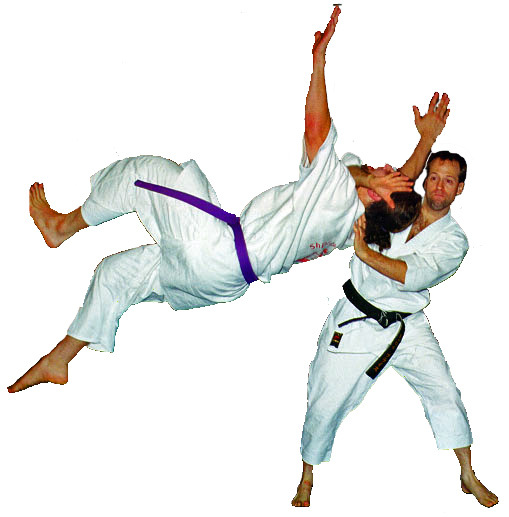 Body conditioning, or the strengthening of parts of the body through repetitive striking — which serves to increase pain tolerance — is another aspect of souseiki ryu that separates it from the pack. It stands to reason that the demands of full-contact fighting require that one can endure the demands of, well, full contact. “If you can’t hit someone without doing damage to yourself or, conversely, if you can’t take a hit, you’re putting yourself in peril,” Wright says. And when there is pain, it’s often accompanied by fear — a fact that Wright considers an inevitable and natural response that’s to be managed rather than eliminated. 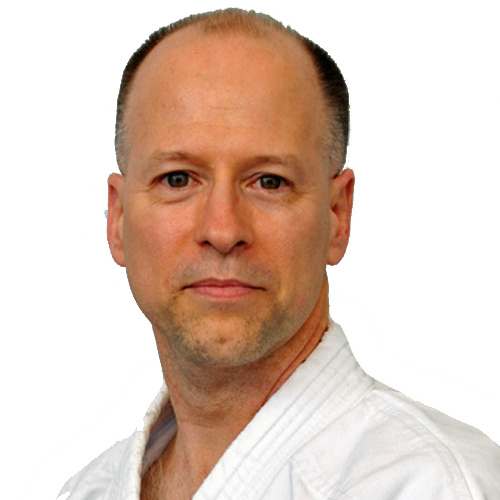 Beyond the nuts and bolts of assembling an arsenal of effective techniques through hard-core training, Wright has ensured that his system stands on a solid philosophical foundation, one that shares many core values with the traditional arts. “One of the goals of my art is for students to realize their full potential as human beings through physical, mental and spiritual growth,” he says. Since his students often struggle with the post-traumatic effects of combat, souseiki ryu also addresses methods for overcoming challenges in what Wright calls “our walk of life” in addition to overcoming the threat of personal violence. In the aftermath of a combat incident, Wright facilitates discussion among his students, encouraging them to work through the stress of their experiences together so they’re able to re-engage their minds and go back out on patrol. He uses this process as a way to provide them with the support they need through collective strength. Because of his art’s emphasis on practicality, Wright refers to it as an open-minded system. He readily accepts that each of his students has his own abilities, opinions and, quite often, a black belt in another system. Wright’s simple wish is that each day when a student leaves the dojo, he’s a little better than when he came in — not just as a fighter but as a person. I have been training in martial arts for the past 30 years, I started with judo then Shaolin Kung Fu, followed by my main art of Tang Soo Do, it was then that I discovered the Dragon Society International. 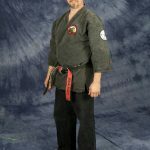 In 2001 I achieved the rank of Shodan in Torite and since then I have taught numerous military, private military groups, Martial Artists, Police Forces, Members of the Special Forces, Members of the Elite Police Force in the principles of Torite. Handles seminar sales and customer service. Integral with product design and coordinating seminar events. From humble beginnings to humble endings, countless hours of research and application of the dynamic forces internal and external to the human mind, body and spirit. 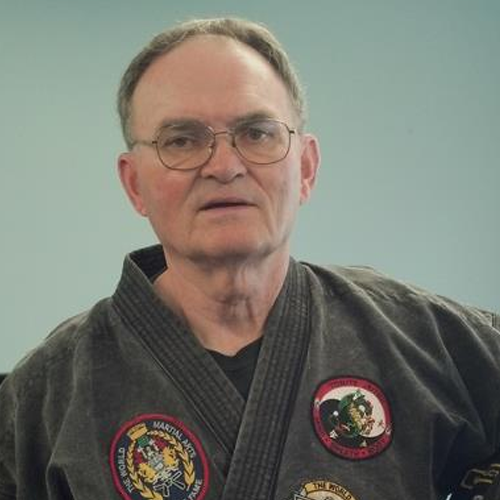 Charlie Dean began martial arts studies 40 years ago with the Korean Marines (ROK) White Horse Battalion in Vietnam, 1970. Charlie is a founding member of the DSI. After returning to the United States, Charlie began searching for martial arts training commensurate to previous war time training. Many institutions visited found to be lacking in his specific requirements for further study. The search took an unexpected turn when fate intervened in 1984 and through work related travel to Waynesboro, Va., Charlie met Rick Moneymaker on a job site. The young Texas engineer was immediately the target of intrigue due to a set of ‘warty’ boots (full quill ostrich) and a friendship was bonded. There were many of these extended trips to Waynesboro and Charlie was looking for weights to work out in his apartment when Rick offered up his nautilus center. 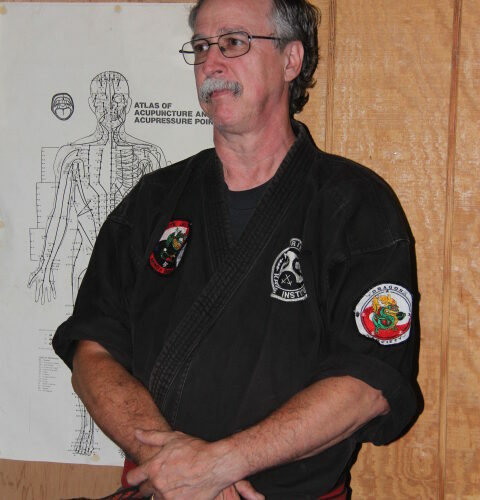 This led to common interests in martial arts being recognized and being introduced to Tom Muncy and the To-Ri Martial Arts system. From these events, real martial arts training began. 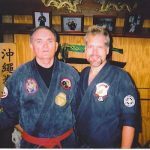 Training exclusively with Tom Muncy and Rick Moneymaker, Charlie was awarded Shodan in 1985. Tom and Rick being true innovators of the arts, totally open to share with all who have the openness to learn, exposed Charlie not only to their specific styles but many greats such as Wally Jay, Remy Presas, George Dillman, Ed Hampton to mention a few. Charlie fully comprehending the invaluable information and real foundation building research, carried this to his local Texas area finding many attracted to the beneficial training. Texas To-Ri was born. Tom and Rick were destined to make many trips to Texas. Charlie’s work continued to consist of out-of-state travel where martial arts were ever reaching. Another chance encounter occurred in the 1988-90’s in Phoenix, Az., through an entertainer at a resort hotel. Mike Anderson was performing and conversation during his break established another friendship. Martial arts, eventually, was a topic. At the time Mike was studying with Mike Wall, of Robert Trias’s USKA. The excitement was abuzz after learning of Charlie’s studies and it was arranged for him to teachan introductory class at Mike Wall’s school. This resulted in several things. The meeting of another tremendous martial artist and friend, Master Mike Wall. An introductory mystery guest in an unmarked gi, being another tremendous martial artist, Ray Fisher. (claims I picked oh Him). An opportunity to introduce Rick Moneymaker to the Phoenix, Az. Martial arts in future visits. It was learned that Ray Fisher was head instructor for Tomas Conner’s TRACO International. He indicated that he would like us to present our arts to his school. This resulted in getting Rick Moneymaker to visit the area with Charlie. It was at this time that they worked with Ray, Peter Hill and Charles Stanley. Ray, eventually, founded ACS Martial Arts and the solid friendship carries on to date as a prominent, creative, contributing innovator of the Dragon Society. Charlie, personally, gained invaluable knowledge from Master Ray Fisher, who, so freely, opens his doors of knowledge to those that have the desire to learn. The Phoenix trips continued into the 1990’s. 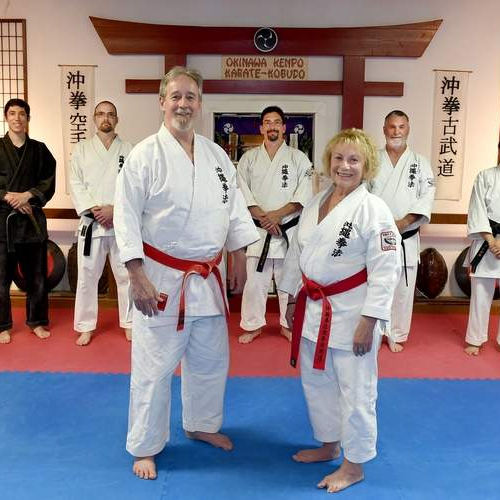 Charlie’s personal friends, Mike and Cathy Anderson, were inspired to continue the martial arts with the sharing of their version of the arts. What began with one-on-one training in the backyard of their home, drew students to the ideas and vision. 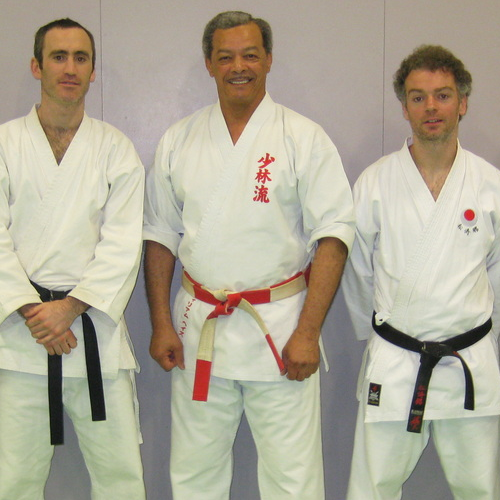 This endeavor grew to the opening of Goshin Karate and Judo Academy in October 1991. A success story that continues today. Afforded by the fulfilling times in Phoenix, other avenues for development came in greatness. Charlie had the opportunity to work with and learn from the extraordinary, Taika Seiyu Oyata in hosted seminars. Charlie studied and learned Tai Chi Chaun fundamentals from Master Willie Lim in Phoenix, AZ. Master Lim’s teaching aided in resolving some inherent issue to the development and generation of chi energy. 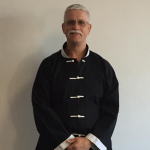 Charlie studied and learned Hsingi fundamentals from Ed Hampton in Blacksburg, Va. Ed is a phenomenal, advanced master of Hsing-I, Ba-qua and Tai Chi that far exceed what is commonly available today in the arts. His concepts and insights provided missing links that only he could fill. Ed having made several trips to Texas with his wealth of deep knowledge to share, established the Texas Energetic Movement Arts with close friend, Randy Fuller. Throughout this period of martial arts research and development, Charlie delved into the deeper energetic and spiritual nature of the human anatomy. 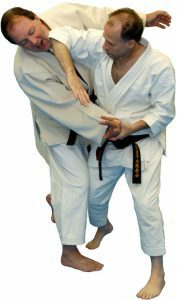 Technologies advanced, research aids and compiled experiences gave opportunities not available in the past and give solid credence to the application of ToriTe Jutsu and it’s development. There are answers to many unanswered questions. There is a creator and there is a design. Small steps to understanding this design is worth the effort. 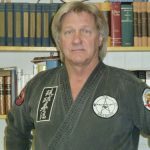 Charlie continued to promote the ideas developing in the martial arts and as Tom Muncy and Rick Moneymaker’s roles in Texas continued, there were visits to the Houston area schools of martial artists. Charlie held seminars and taught at Houston area schools including: Al Garza’s Martial Arts, Young Brother’s Tae Kwon Do – Master David McCloskey, Karate USA – Master Mike Tucker. 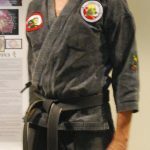 It was during this period that five martial artists came together to determine how to pass on the knowledge and research that was awakening through in-depth, studies and real techniques being shared by a few dedicated martial artists. The Dragon Society International was formed. Charlie is proud of his co-founding role in the Dragon Society and of all it’s members. Tom Muncy and Rick Moneymaker are exclusively this generation’s leaders and developers to these martial arts enhancing concepts. Dragon Society member and co-founder. 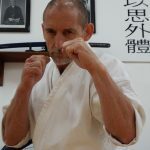 David Hansford is a 7th Degree in Shuri-Ryu, training in a lineage that goes back to the traditional Okinawan Shurite that incorporates both soft and hard, internal and external aspects of a complete system as it developed from the Southern Chinese systems and the original Okinawan Te. My Sensei made it his mission to understand the Chinese science and the combative methods behind the Okinawan Shurite and he shared that accumulated knowledge with me. My mission has been to understand and apply the Western science to the trained traditional martial arts. The result these studies of both Traditional Chinese Medicine science and the Western science as applied to Okinawan martial arts are two books, both of which are available on the Dragon Society Store. The P.A.T.H. 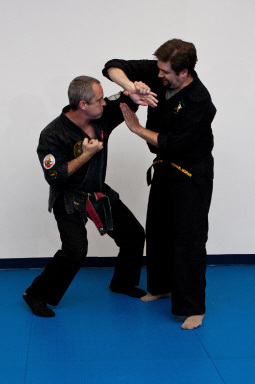 Approach to Effective Self Defense takes as its thesis that in a genuine self-defense situation where life and limb is on the line, the most appropriate defensive response is to counter with an attack to the heart of the aggressor affecting an autonomic response which culminates in a vasovagal faint, but with the possibility of a more severe result. P.A.T.H. is an acronym for Parasympathetic Attacks to the Heart. The P.A.T.H. 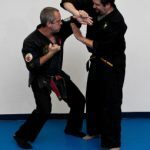 Approach to Effective Self Defense, Part 2, Kiko is a discussion of the unique Okinawan approach to qigong that is inseparably integrated into Okinawan Karate training for both ki development and control and for conditioning of body, mind and spirit. This book focuses on the importance of traditional training and the Western science understanding of the neuroscience and myofascial web as it relates to energy development, storage and delivery. On Facebook, David Hansford Martial Arts. Frank Annese has been training in the Martial Arts for over 20 years. After achieving his first black Belt in Tae Kwon Do, he wanted to see just how far he could take his training. 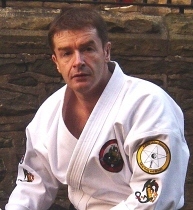 He began training in Ryu Kyu Kempo in 1993 under Marc Kline as well as Mike Solecki. 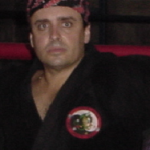 It was here he was introduced to Martial Artists such as Wally Jay, George Dillman, Remy Presas, Rick Moneymaker, Tom Muncy and many more. Realizing that there was so much to learn he decided to make the Martial Arts a life study and to pass on what he was learning from these pioneers who had gone before him and led the way. Taking the advice of Professor Remy Presas which was “If you want to get good at something you need to teach it to someone then you will make the connection and you will have it” Frank began teaching in 1995. Originally getting in the Martial Arts just for the fighting end of it, he has achieved more benefits in the last twenty years than just an outlet for fighting. Today he and his wife Michelle own and operate Annese Martial Arts in Waynesboro VA the home Dojo for Dragon Society International. We are now producing quality Black Belts who share our love for the arts. Master Pollak began his training in Delaware, while attending the University of Delaware. His training was in American Kenpo under Jim Clapp. Upon moving back to New Jersey after college he continued his training under Ed Naugen in the same art. Master Pollak has always sought ways to improve his art and his teaching. Master Pollak always sought out the top instructors in their fields. He did extensive training with the Late Professor Remy Presas in the art of Modern Arnis achieving the rank of Brown Belt, and under Professor Wally Jay in the art of Small Circle Ju-jitsu. 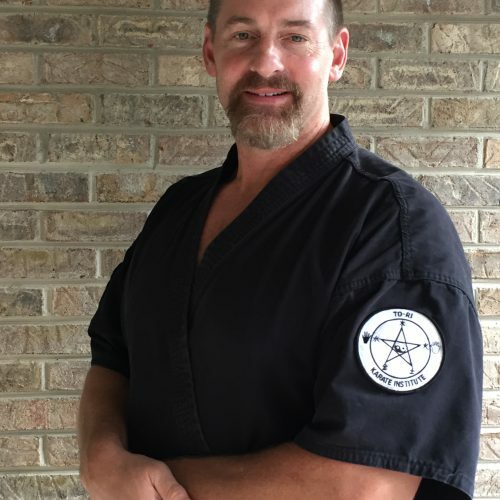 In 1995 he joined the Dragon Society and began training with Grand Masters Tom Muncy and Rick Moneymaker and has earned the rank of 5th Degree Black Belt (Master Ranking) in Torite Jutsu and Okinawan Kempo Karate-Do. 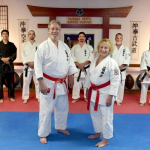 Under Grand Masters Tom Muncy and Rick Moneymaker Master Pollak has also been awarded the position of Certified Senior Instructor in Torite Jutsu. 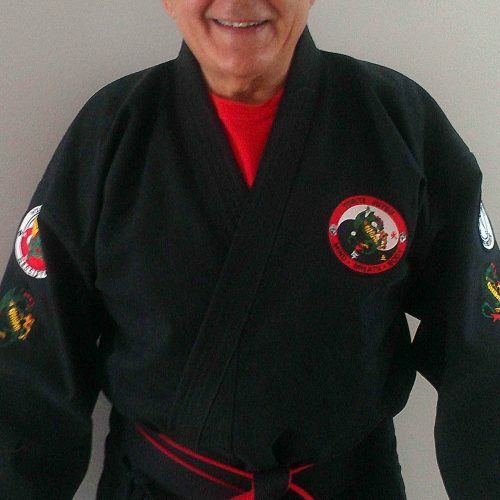 In the Spring of 2000 Master Pollak was inducted into the World Martial Arts Hall of Fame as Instructor of the Year. 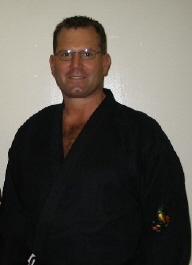 Master Pollak is Instructor College Certified by Black Belt Schools International. Knowledge alone is not power. True power is the application of Knowledge. Master Pollak applies what he has learned through all of these great organizations when he trains his instructors, when he personally teaches classes at RKA Family Karate and when he teaches seminars at other schools. 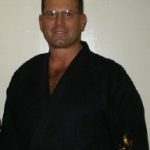 Master Pollak has trained over 25 individuals to Black Belt and beyond with another with another 10 – 15 getting ready to achieve that rank by the end of 2011. 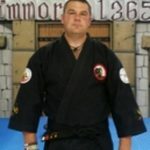 Master Pollak has had the pleasure of seeing several of his Black Belts open their own schools and share the arts with hundreds of additional people. 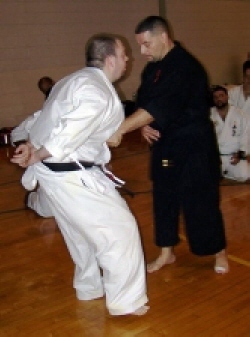 Master Pollak has taught seminars and assisted at seminars throughout the United States and is available to teach. 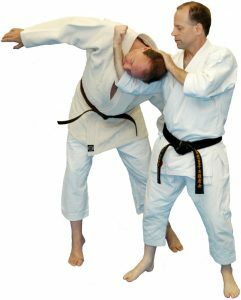 Areas of expertise: Pressure Point Grappling all levels, Application of Torite Jutsu to others systems at all levels, Basic Arnis and Kali. Master Pollak can also teach Torite Jutsu in a way that will help schools create an upgrade system within their schools to help generate additional profit centers. Master Pollak is currently working as a realtor in Central NJ. Currently he is creating a self-defense class for realtors to be taught as a 1 time program and to allow for continued training for constant improvement. 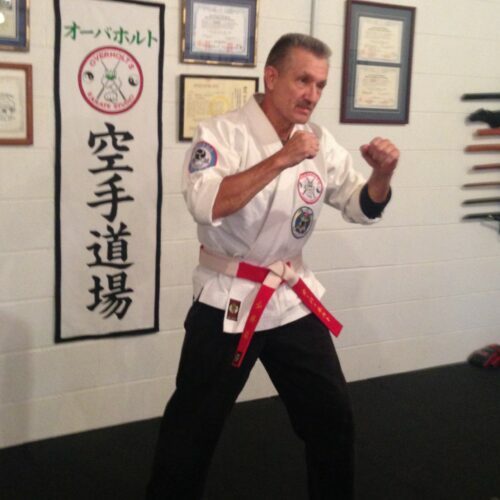 Former owner of RKA Family Karate that was run successfully from 1995 – 2009. Master Pollak sold the school and continues to train the Black Belts and the Black Belt Candidates there as a service to the new owners. 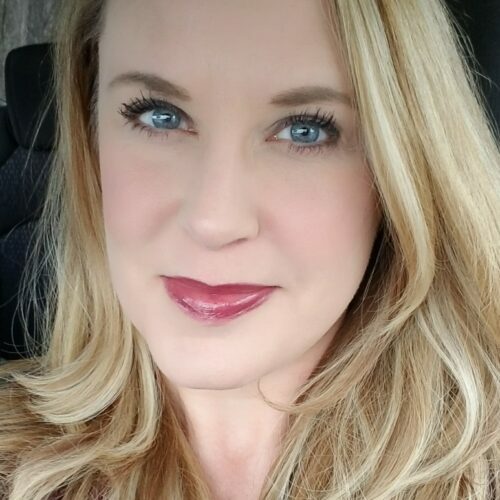 Michelle Annese, “The Diva of Defense™” is a nationally recognized self defense and safety instructor, consultant, speaker and writer. 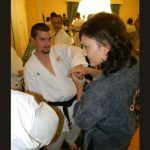 With over 25+ years experience in the martial arts, a fourth degree Black Belt Master, A Dragon Society International Certified Instructor, and an inductee into the World Martial Arts Hall of Fame, Ms. Annese is a safety advocate teaching thousands each year in talks and seminars nationwide. 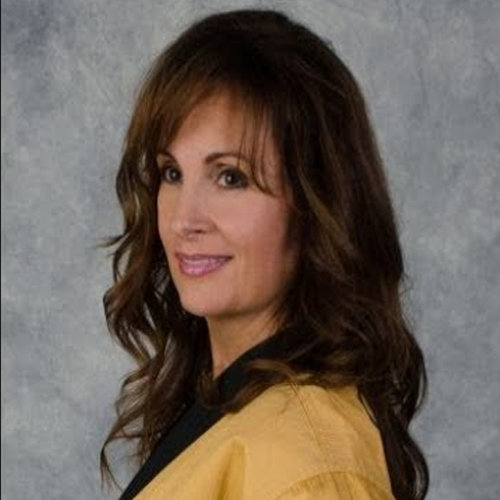 Dragon Society International and Annese Martial Arts’ sucessful children and adult programs are a direct reflection of Michelle Annese’s experience, spirit and genuine love for the martial arts and the empowerment students and members receive with DSI and AMA programs. “Dear Michelle, Once again, we would like to thank you so much for speaking… It was such a pleasure having you here. Thank you for sharing your stories and experiences with us. We believe that bullying should not be tolerated. Your strategies for coping with bullies were very useful and applicable. Mike Tucker started training in 1980 under Al Garza. He began competing the same year and since then, he has amassed an impressive string of victories. Mr. Tucker was recognized 5 consecutive years as one of the top ten in Texas and as Rookie of the Year and Top Black Belt Fighter in 1985. In that same year, he received his business degree from The University of Houston Clear Lake. Although he no longer competes, his presence is still felt on the tournament scene through the obvious successes of his students. 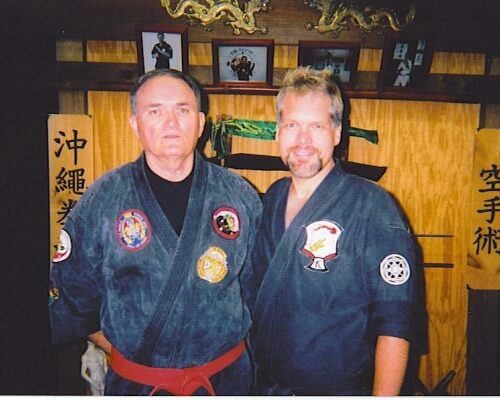 From 1985 to 1990, Mr. Tucker ran schools for Mr. Garza and helped create a unique Martial Arts and business system. In 1991, Mr. Tucker opened what is now USA Karate. Through years of diligence and constant improvement, Mr. Tucker has developed the current system he now teaches. In 1993, Mr. Tucker was recognized as one of the Top Instructors of the Year in the state of Texas by the Amateur Organization of Karate. 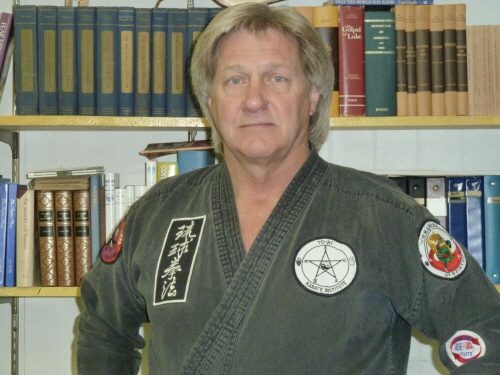 In 1999 Mr. Tucker was inducted into the World Martial Arts Hall of Fame as the Master instructor of the year. Also that year, Mr. Tucker was certified as a 5th Degree Black Belt in Torite-jitsu by the World and British Kempo Arts Federation, signed by 11 Masters and Grandmasters. Mr. Tucker was the head official for the Texas Police Games in 2000 and 2007. Mr. Tucker is a Founding Member of Dragon Society International. 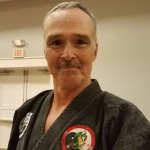 Presently Mr. Tucker is a 6th Degree Master Level Black Belt and Master Instructor under Rick Moneymaker 9th Degree Grandmaster and Tom Muncy, 10th Degree Grandmaster in Okinawan Kempo and Tuite – Jitsu. He also holds a 4th Degree Black Belt under 9th Degree Grandmaster George Dillman in Ryukyu Kempo. 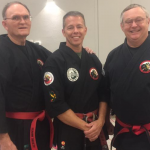 In addition, Mr. Tucker holds a 3rd Degree Black Belt under 6th Degree Master Al Garza in Tae Kwon Do, and a 1st Degree Black Belt under 7th Degree Zdenek Matl in Judo and Ju Jitsu. Born May 8th 1956 Wellington, New Zealand. Began training with basic boxing training age 4. 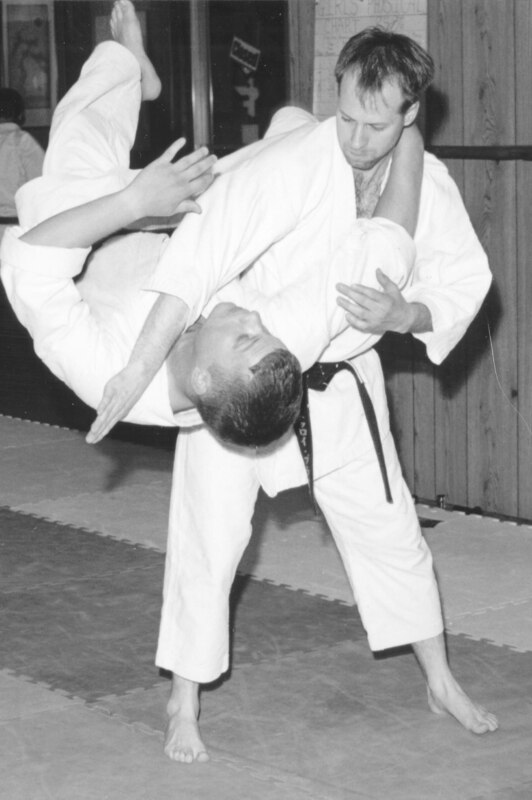 In 1963 began formal martial training in Kodokan Judo and Goju Ryu Karate – aged 7. Moved town in 1968. 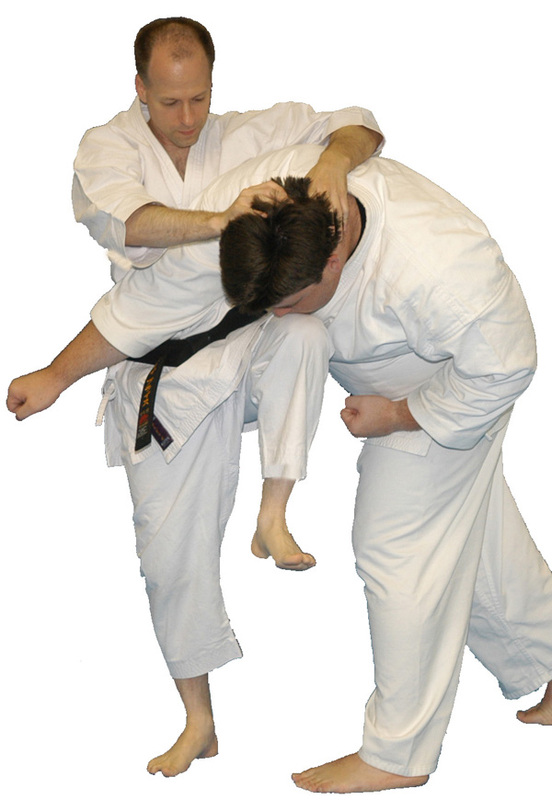 Took up Aikido in that year. Subsequently trained in a Shorin Ryu/Shotokan blend dojo for a number of years. Studies in TCM,Japanese acupuncture, Applied Kinesiology, Neurology, Clinical Nutrition and Anti-Ageing Medicine over the past 38 years have all helped in my understanding of anatomy/physiology/neurology and energy mechanisms in the body both to heal and to damage them. My sincerest apologies to any master or even study partner that I may have inadvertently missed from this list. (And, of course, I continually learn from repetitive practise and from my students. I am ever grateful to GM Sijo Ian Waite, GM Rick Moneymaker,GM Tom Muncey and all of the dedicated “keep it real” researchers of the DSI for their invaluable help and guidance.